Looking to cut the cord between your axe and your amp? The Line 6 Relay G10S makes it easy. Ideal for guitar, bass, and any other instrument with a high-impedance output, this digital wireless system connects your gear up to 130 feet away via frequency-agile, multiple-redundant, 24-bit digital audio. Automatic or manual frequency selection gives you plenty of setup options, and wireless signal and battery level LED indicators make sure you stay up and running. Get your sound anywhere you need it with an XLR direct output. 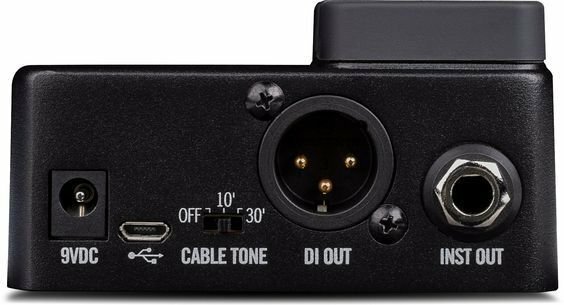 Emulate the sound of a 10- or 30-foot cable with the Cable Tone switch. You’ll appreciate the Relay G10S’s ease of use, and with up to eight hours of continuous operation, battery life is never an issue. 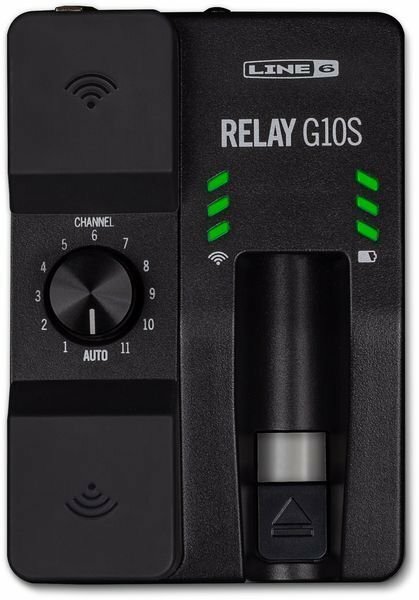 Other than switching it on, the Relay G10S is as easy to use as an instrument cable — no setup fuss, no fumbling with menus, just plug-and-play simplicity. You don’t even need to mess with batteries, thanks to the built-in Li-ion battery onboard the transmitter, which plugs into the dock to charge. And since you get up to eight hours of run time with 200 hours of standby time, you don’t even need to panic about charging your Relay G10S mid-show. Cable Tone: the sound of a cable — without the cable! You don’t want to be tethered to your amp, but that cable sure adds an undeniable character to your tone, doesn’t it? Excellent news! The G10S sports Line 6’s selectable Cable Tone technology, which simulates the subtle tonal effects of a standard 10- or 30-foot cable, giving you the freedom to rock from stage left to stage right — while sounding just like you’re wired. Guitarists appreciate the intuitive ease of use afforded by the Relay G10S.